Charlesworth Author Services, in providing services on behalf of AIP Publishing LLC, reserves the right to change this policy from time to time by updating this page. You should check this page periodically to ensure that you are happy with any changes. We may periodically send promotional emails about new products, special offers or other information which we think you may find interesting using the email address which you have provided. You have the right to ‘unsubscribe’ to these at any time. From time to time, we may also use your information to contact you for market research purposes. We may contact you by email, telephone or mail. We may use the information to customize the website according to your interests. Our websites may contain links to other websites of interest. However, once you have used these links to leave our site, you should note that we do not have any control over that other website. Therefore, we cannot be responsible for the protection and privacy of any information which you provide while visiting such sites and such sites are not governed by this privacy statement. You should exercise caution and look at the privacy statement applicable to the website in question. If you have previously agreed to our using your personal information for direct marketing purposes, you may change your mind at any time by writing to or emailing us (many of our marketing emails include an option to ‘unsubscribe’ with one click from the last message you received from us). 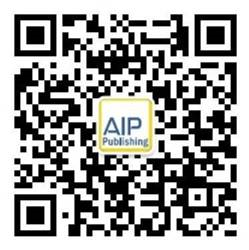 Please note that Charlesworth Author Services, as the provider of services to AIP Publishing LLC, will share your personal information with AIP Publishing LLC for the purposes of carrying out its activities and to enable either party to make information available to you about related services.